The University of Wolverhampton has signed a partnership contract to deliver drone pilot courses over the next two years. The Remote Pilot Certificate SUAS (RPCS) course, which is Civil Aviation Authority (CAA) approved, leads to Permission for Commercial Operations status – providing commercial drone pilots with the skills and qualification to operate safely and legally in UK airspace. The course has been delivered for the past year on an informal partnership basis with partner, RUSTA UAV Training Professionals. Members from City of Wolverhampton Council’s Schools Technology Support Centre have benefited from training as well as companies from the agriculture sector. 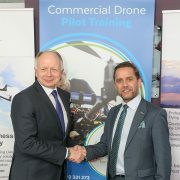 Marc Fleetham, Director of Business Solutions at the University, said: “The drone pilot training courses that we’ve offered over 40 companies over the past year have proven to be so successful that we have strengthened our informal partnership with RUSTA to create a more formal, contractual arrangement. Richard Sparks, a Surveyor at Advantage Geomatics based in Shrewsbury, heard about the drone course through the Shropshire Chamber of Commerce and was impressed that it was run by ex-military aviation personnel. The two and a half day course includes a theoretical overview of air law, principles of flight and insights into meteorology as well as covering emergency procedures. The University currently has three different types of Unmanned Aerial Systems (UAV) suitable for both interior and exterior usage, complete with high definition cameras designed to capture video and still images, which are used for training. 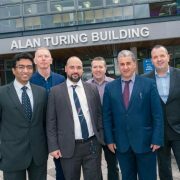 The course is delivered at the University’s Science Park, Wolverhampton, Business Solutions Centre, Telford Innovation Campus, and Business Solutions Centre, Hereford. The course price is £995 + VAT and includes refreshments. For more information contact: A.Nicholas2@wlv.ac.uk. 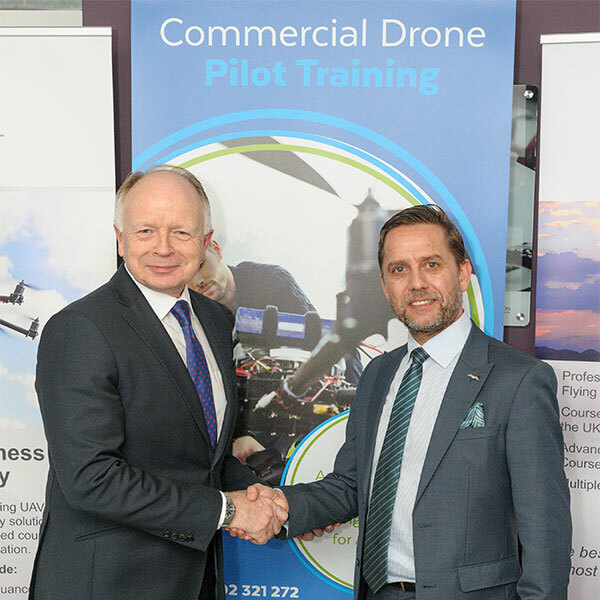 Picture Caption from left to right: Professor Ian Oakes, Deputy Vice-Chancellor at the University of Wolverhampton and Sion Roberts, Director at RUSTA UAV Training Professionals. Major employers have signed up to a new Degree Apprenticeship programme at the University. 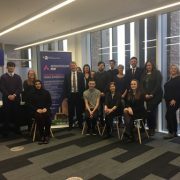 More than 20 apprentices from organisations including Walsall Council, Royal Wolverhampton NHS Trust, the Beacon Centre, Liberty group and Phosters started the new Chartered Manager Degree Apprenticeship (CMDA) recently. 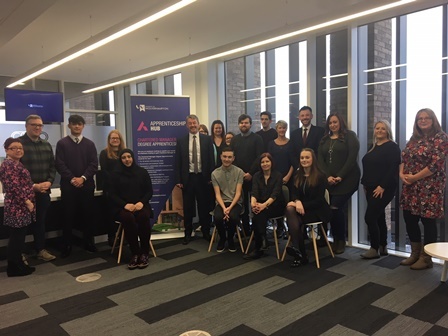 The University’s Apprenticeship Hub agreed a three year partnership deal with a large international company to provide one of the first CMDAs in the country last year. Now the successful programme is being widened out to other organisations for the first time. The CMDA covers all aspects of business including management, marketing, human resources, finance and operations management, and leads to apprentices becoming Chartered Managers with the Chartered Management Institute (CMI). Designed by employers, universities and professional bodies, Degree Apprenticeships deliver high-tech and high level skills and offer an alternative to a traditional degree course. 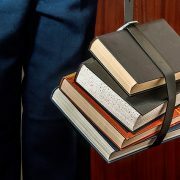 Bringing together university study with paid work in a blended learning model, Degree Apprentices spend part of their time at university and part with their employer. As well as CMDA, the University is offering Higher and Degree Apprenticeships in Construction Management with pathways for Civil Engineering & Built Environment, Manufacturing Engineering, Product Design & Engineer, Chartered Surveying, Chartered Legal Executive, Digital Technology Solutions Professional and Healthcare Science Practitioner. Future Degree Apprenticeships will include Policing, Social Work, Nursing and Paramedic Degree Apprenticeships. There will be May and September intakes for the CMDA. Employers of all sizes can benefit from the programme – those paying the levy can use it for the programme whilst those who do not pay the levy benefit from a 90% contribution towards the training costs from Government. Picture Caption: From left to right Professor Prashant Pillai, Professor of Cybersecurity at the University, Tony Proctor, Principal Lecturer in the School of Mathematics and Computer Science at the University, Gregory Epiphaniou, Reader in Cybersecurity at the University, John McCann, Director at Satisnet, Professor Amar Aggoun, Head of School of Mathematics and Computer Science at the University and Detective Sergeant Gary Sirrell, Regional Cyber Protect and Prevent Officer at the West Midlands Cybercrime Unit. 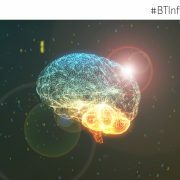 BT Infinity Awards are looking for the best in AI talent. Are you a talented small company or start up, with a passion for solving problems using Augmented Intelligence? 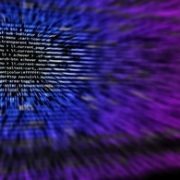 This year’s BT Infinity Awards, in partnership with the Cabinet Office and TechHub, are looking to find the best digital talent in machine learning, robotics and artificial intelligence. We are looking for small companies with big ideas that can be turned into real life solutions across the public, defence or retail sectors. There are three prizes of £10,000, plus we’ll also offer you six months business support to help you develop your idea and drive it to the next level. That’s not all, our partners TechHub are offering a flex membership at their London office for six months to help you take your businesses to the next level. Have you got an idea that can transform public services? It could be internal, with civil service or public sector teams. External, with citizens and service users. Or even both. 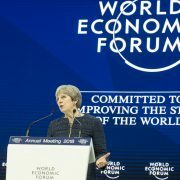 Britain’s decision to Exit the European Union brings new challenges for the public sector, by creating a fresh delivery landscape and innovation opportunities to respond to new arrangements and regulatory frameworks. Alongside these new challenges, Government is looking for innovative ways of delivering services: this competition is looking for SMEs with solutions for end to end digital transformation that genuinely disrupts traditional approaches to delivering key outcomes for citizens. Perhaps you’re working in robotic process automation that improves the experiences for citizens in engaging with the public sector. Or you have developed a machine learning solution that helps personalise the experience for users and improves the effectiveness of engagement of public bodies. If your ideas can be applied to making public services better, we’d love to hear from you. Could your idea help a commander and their staff better plan an operation? Could it help them visualise and test the impact of decisions before they act? Or even assess their manoeuvres in real time? Today’s modern army is about much more than protecting the UK, and our territories. They are there to prevent conflict around the globe and to provide assistance during large-scale emergencies or natural disasters. So planning any military operation is complex, with multiple, often conflicting priorities to consider round how resources should be moved, located and kept secure. We’re looking for way in which Augmented Intelligence can present a commander and their staff with better ways of planning an operation, graphically visualising and testing the impact of their decisions in advance and assessing in real time the impacts on forces and their manoeuvres. And just to let you know, before the Army invests completely in the winning concept, they’ll need to fully test it first. Could your idea better connect us with customers and make for a more personalised retail experience? 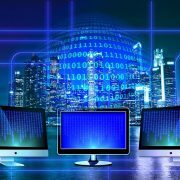 Could it drive operational transformation, whether it’s inventory management, warehousing or in-store analytics? Or even use online engagement to drive in-store sales? b) Fill in a simple form and we will send you a briefing pack with more info. It’s probably a good idea to read the competition’s terms and conditions before you enter. Entry period – we need you to complete the application form and send us a short video outlining your idea. We’ll look at all the videos and pick a shortlist of the best entries. Shortlist announced. We’ll contact you during the week of 9 April if you make the cut. If you are on the shortlist we’ll invite you to come and pitch your idea to our judging panel at the BT Tower. You’ll need to make a short presentation and take questions from the judges. Then, in the evening, you get the chance to see the spectacular views from the 34th floor where there will be the awards ceremony to announce the winners. If you are lucky enough to win, we’ll start to work with you to offer our support develop your idea. You will take up your TechHub membership and have £10,000 to spend on growing your businesses.